Remember the darling Jenny Lind cot from Da Vinci Baby we wrote about a little while ago? Good news: Australian nurseries are set to get a whole lot prettier because Jenny Lind has a local stockist. The Jenny Lind cot with its turned wood spindles is lovely for any nursery with a bit of old-fashioned charm and, to suit a wider range of decors, the colour fog grey has been added to the collection of hues. Fog grey is the ideal colour for my future “mum cave” where I plan to appropriate the Jenny Lind cot and set it up as a daybed. It’ll go nicely with the “no kids allowed” sign I’m going to hang on the door. Meanwhile, back in the nursery, Babies R Us is also carrying a matching white Jenny Lind change table ($299). With its signature turned spindles and open storage shelves, it would look lovely under a glittering chandelier dripping with crystals, or you know, a normal mobile. 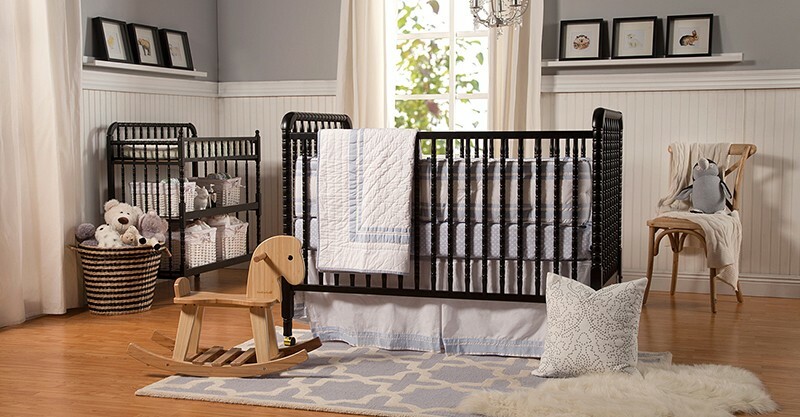 At $499, the Jenny Lind cot in Australia is a touch dearer than its American counterpart, but in the universe of nursery furniture, the price is still pretty reasonable. You can order it online at Babies R Us, the nursery arm of Toys R Us.